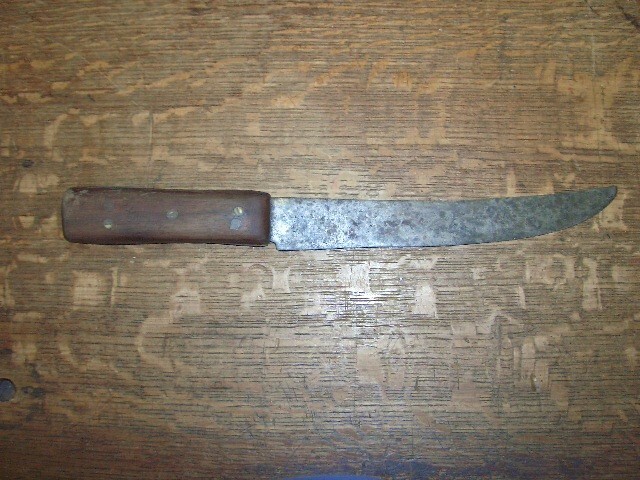 Here is a nice genuine 19th century Indian Trade Knife. Skinner. Here is a nice genuine 19th century Indian Trade Knife. A Skinner. Used to skin Buffalo, and other animals. Please email cowboyron@cowboycabin.com with questions or call 406 270-2842.